Since 2014, the beach managed by Pierre&Vacances' Group in Saint-Anne is protected by an immerged STABIPLAGE®. This STABIPLAGE® allows breaking the waves and keeping the beach: 10 meters on its width and 120 meters on its length. Shellfishes and algae cover the STABIPLAGE® structure: it is a support for the biodiversity. 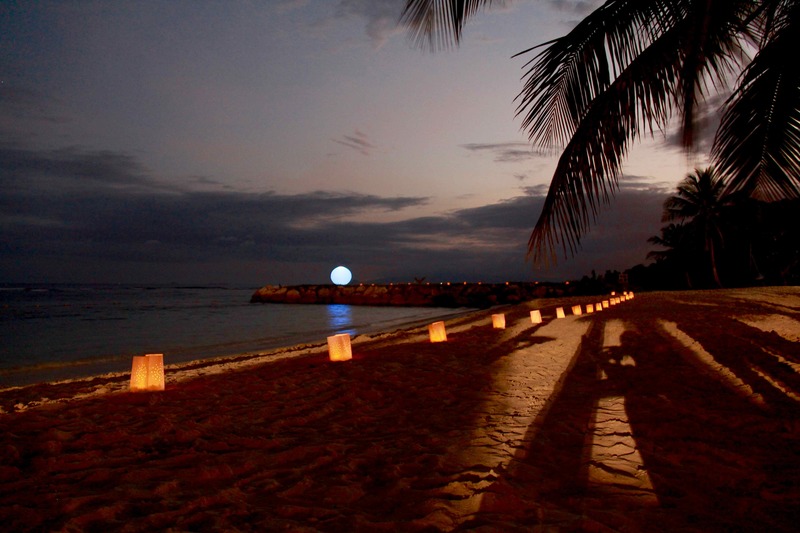 Pierre&Vacances found the use of a second beach for their customers. 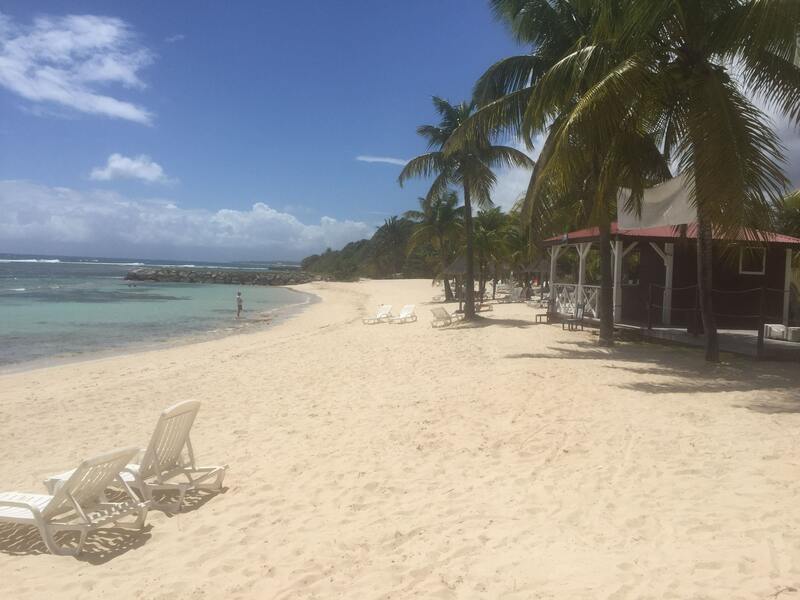 Spring 2016: official opening of the Pierre & Vacances Guadeloupian Resort's beach.This beach, designed and created by Espace Pur in collaboration with Guadeloupian companies, had disappeared few years ago and is now restored thanks to: 1 submerged STABIPLAGE® + a beach nourishment.= 10 meters wide on 120 meters long. From 17th to 21st June : Béatrice CORNIC was at Jeanne d'Arc Mission in Vietnam. On the 11th June, Espace Pur was at the 9th congress of French-Vietnamese decentralized cooperation in Brest. 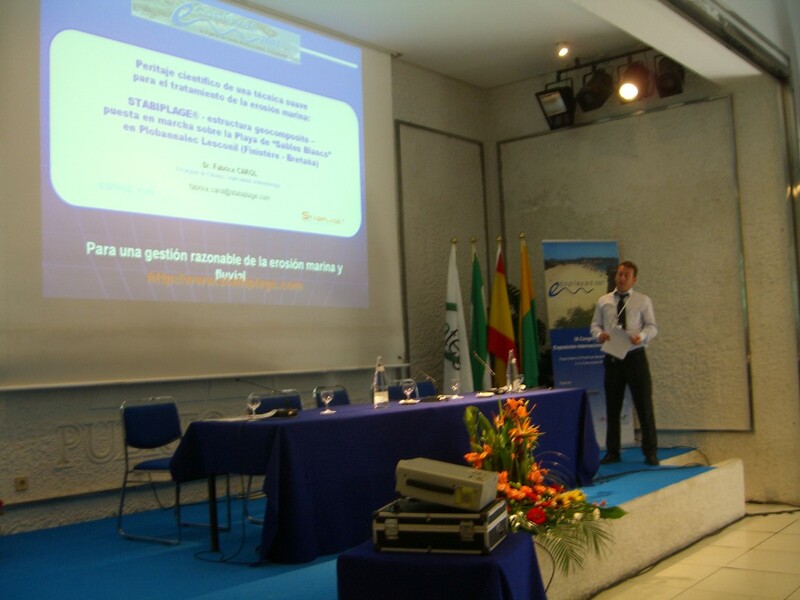 STABIPLAGE® technology was presented through the Loc An project. Participation at The Global Summit Of Women : Béatrice CORNIC is going to participate to the Global Summit of Women in Kuala Lumpur (Malaysia) from 6th to 8th of June. you can find us on Facebook https://www.facebook.com/stabiplage.espacepur. The Global Platform for Disaster Risk Reduction : Béatrice CORNIC was invited to the GPDRR. A famous seminar where only 200 professionals were invited among more than 4000 prestigious guests coming from all over the world. Crisalide prize for Espace Pur : Espace Pur specialized in coastal protection against erosion won the 17th April 2013 the eco-technology prize. Thank's to this reward she competes CleanTech 2013. 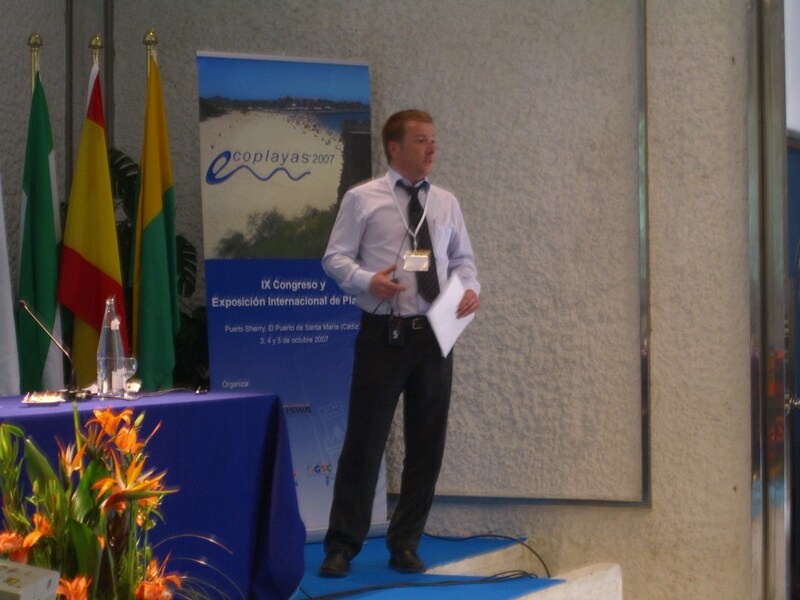 Espace pur participates to the EUROGEO 5 congress in Valencia Spain, where we have presented our gabonese road protection reference after monitoring of two years. Béatrice Cornic, manager, wen the "Jury price" of the competition "women entrepreneur in Brittany"
from Tuesday 6 to Thursday 8th October 2009. Come and visit us at the stand number 245 ! We will present you our technique, STABIPLAGE®. 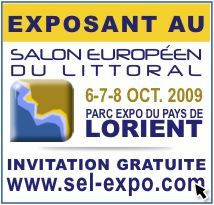 You can get your badge admission for free by clicking on the web site link: www.sel-expo.com. 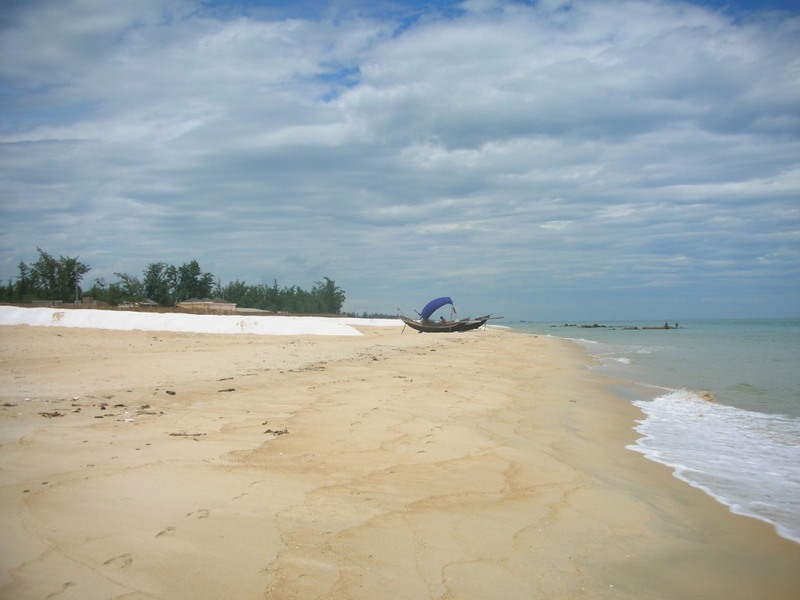 Thua Thien Hue Province, at the South of Vietnam, awards Espace Pur Company for the protection of the littoral at Loc An after the laying of 8 STABIPLAGE® works in 2005. The main responsible of the client of Espace Pur, Mr Truong Than Cong, was present on behalf of Espace Pur Company and honourably received the price, which ended the same day with a reception at Hanoi Opéra on 15 avril 2009. The protection of the Grande Plage of Graye-sur-Mer, in Calvados - Normandy, began in 2005, is ending. Works will be finished on 6th JUNE 2009! Espace Pur Company goes on protecting the Grande Plage of Graye sur Mer on the Nomandy coast. The implementation of two perpendicular works is currently taking place. 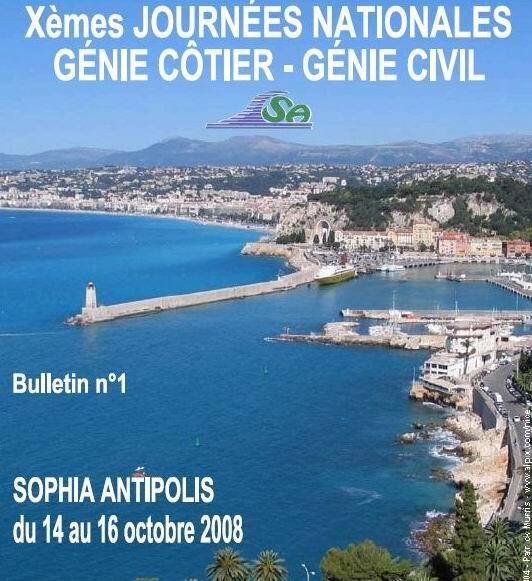 The results of the scientific follow up of the STABIPLAGE® technique will be presented at the Xth national Days of the Génie Côtier Civil that will be held at Nice Sophia Antipolis on 14 and 16 october 2008. Both Mr Serge SUANEZ - Université de Bretagne Occidentale - and Mr Fabrice CAROL will show the results. 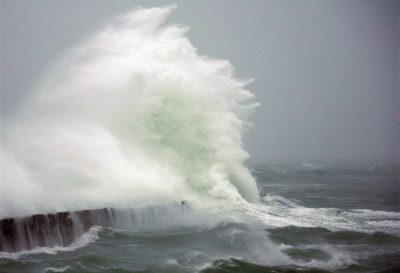 March 2008 - Strong storms on French brittany coast: STABIPLAGE® plays its role as protector. If the dune line has been particularly affected - collapsed in several places, the zones protected by the STABIPLAGE® proved to be much more resistant. in charge of the Technical Department of Damgan city. The hide tide factor was 106. LOCTUDY site: It has to be noted that the STABIPLAGE® works have played their role as they have maintained the sand on the beach. as well as waves of 6-metre height out at sea. during the open sea reinforced the destructive potential of these events. On the zone of Plobannalec-Loctudy-Lesconil (Dpt.29), if the dune line was particularly affected - collapsed in several places, the zone protected by STABIPLAGE® (5 works established at right angles of the coastline) proved to be much more resistant, as the works have in fact stabilized the sand on the beach and protected the dune line as well as rear zones. 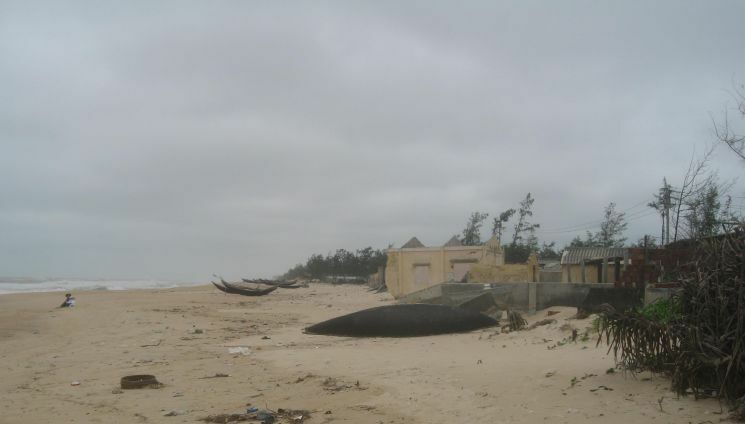 On the coastal facade of the village of Damgan (Dpt.56), it is the man made wall of the seafront that collapsed; numerous roads were cut and many houses flooded. Yves TOUDIC, representative for the Technical Services of the city of Damgan, specifies having never seen such phenomenon in 13 years. Therefore, it has to be noted that STABIPLAGE® played its role on the zone it protects, stabilizing the sand of the beach and allowing the attenuation of the incident waves, restricting thus their destructive impact. necessary for the protection of the coasts and this is realized in a friendly way without artificial inputs. A technique for treating mild to sea erosion: STABIPLAGE ® drain structure. Implementation on the beach "Les Sables Blancs" at Plobannalec-Lesconil (Finistère-Brittain) "
during winter storms on our coasts and the passage of typhoons in Vietnam. Follow-up period: january 2005-september 2006 Asset analysis realized by l'U.B.O. and C.E.T.M.E.F.